With Charly, the lined rain coat from Trespass, your dog is ready for cold and wet days. The jacket is made of 100% polyester which on the outside is water and wind resistant. The inside of the jacket is of a soft and nice fleece fabric. You close the jacket easily using the powerful Velcro system which is adjustable for a perfect fit. 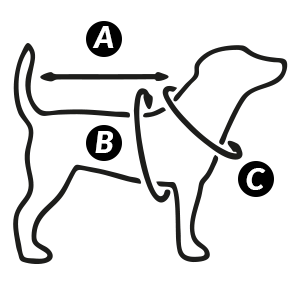 The leash can be attached as usual to the collar through a hole in the jacket by the neck.